This Posh Mommy pendant features a circle disc with faux emerald stone to celebrate a special someone born during the month of May. 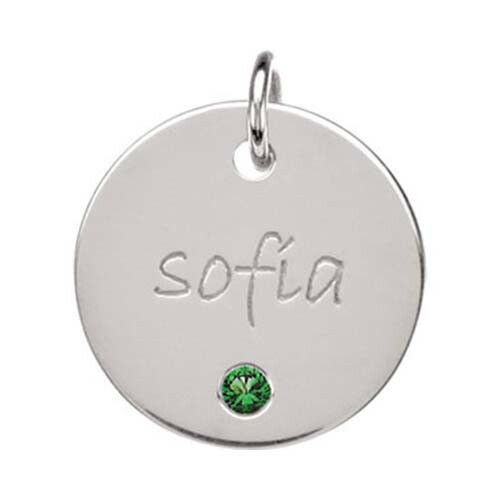 Crafted in sterling silver, the keepsake piece of jewelry is engravable with up to eight characters of your choosing. Spell out a name or share a significant date; the choice is entirely yours! A chain for the pendant may be purchased separately.